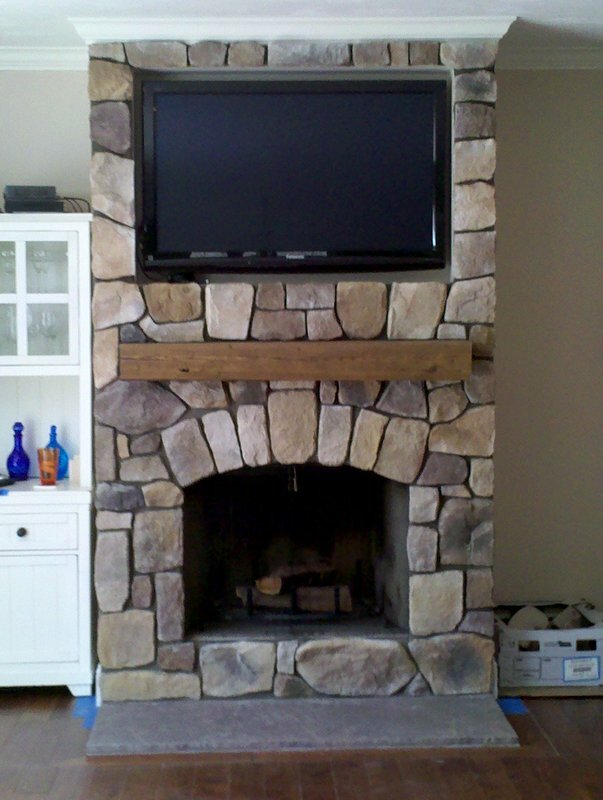 Is Your Brick, Stone or Masonry Chimney In Need Of Repairs and Unsafe To Use? 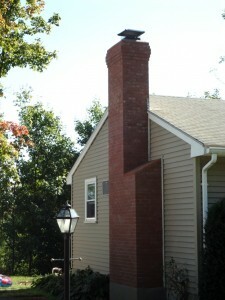 Chimneys play a critical role if you use wood to heat your home. 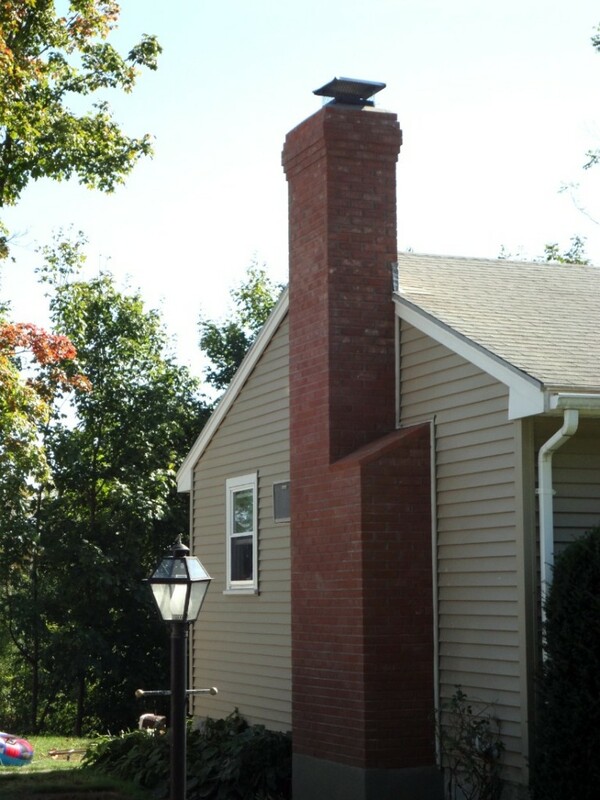 Keep your Chimney in good repair. 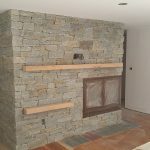 When a new chimney is built by a professional stone or brick mason it's usually constructed in such a way that it will stand the test of time. 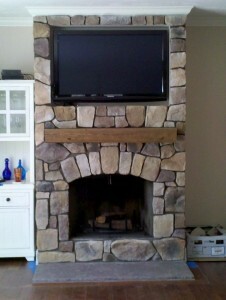 It's often surprising to a home or building owner when they find out their chimney is in need of repair. 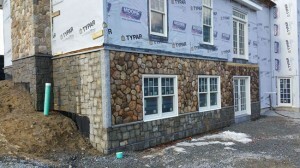 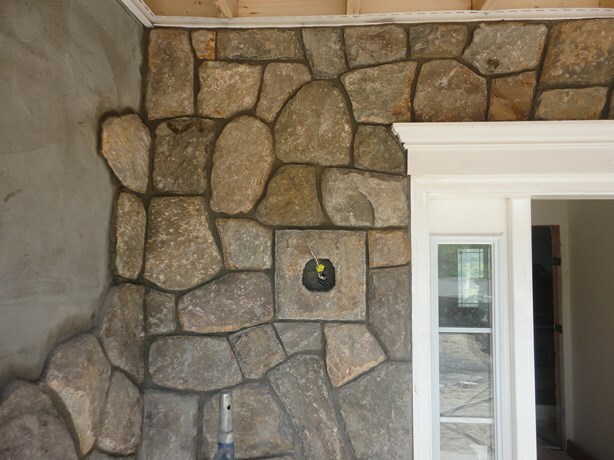 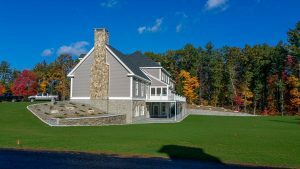 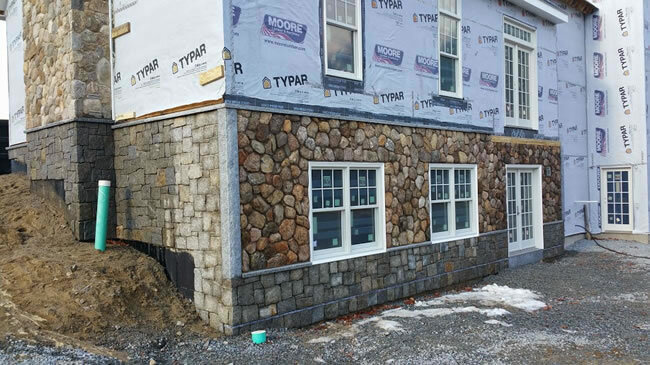 JB Mohler Masonry is a masonry contractor based out of Lancaster, MA. 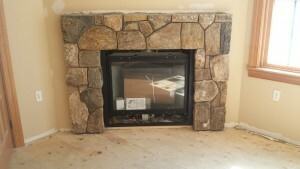 We specialize in inspecting and repairing brick, stone or masonry chimneys for both indoor and outdoor fireplaces. 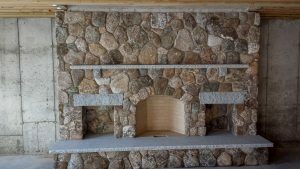 If you haven't used the fireplace in many years or their are visible cracks or damage to the structure then the masonry experts from JB Mohler can take a look for you. 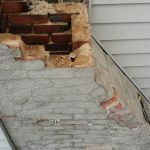 What Causes Chimneys To Need Repair? 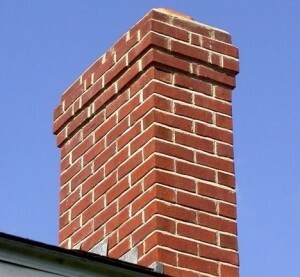 Chimneys made with mortar, brick or stone have one common enemy. 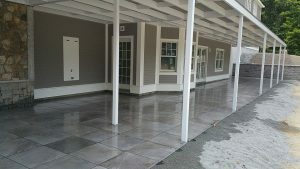 That is moisture intrusion. 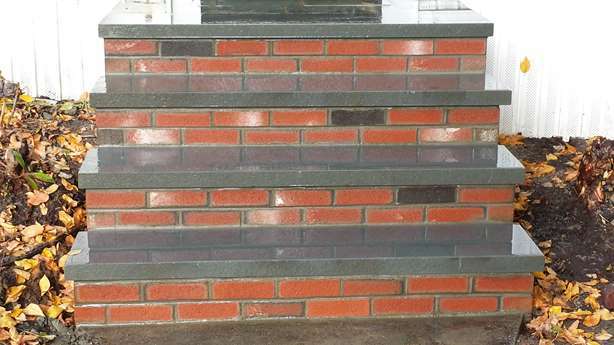 If moisture can work it's way into your mortar and in behind and in between the brick and/or stone it will cause major problems. The problem is made much worse with the cold winter weather we experience here in Massachusetts. 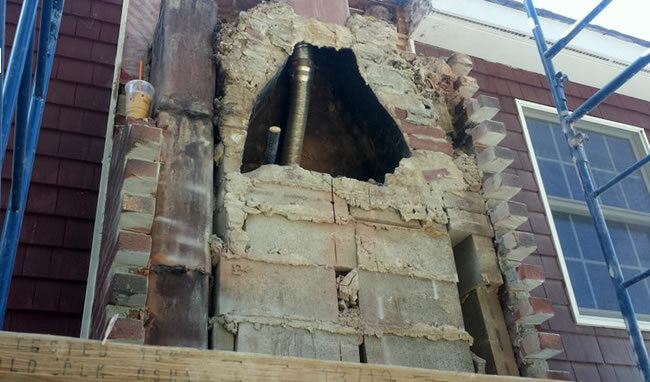 As the water gets in, it can freeze (which expands) and causes tiny cracks, which grow into larger cracks and eventual weakening of the structure. 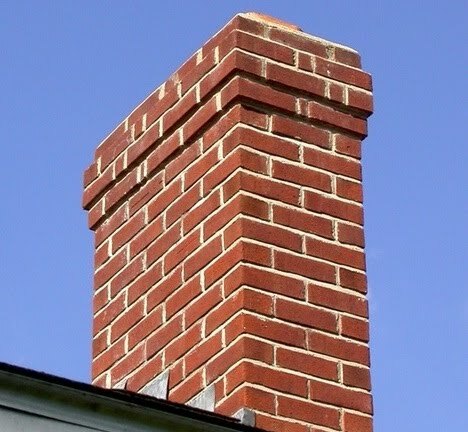 The continual heating, cooling and freezing cycles that most chimneys go through are very taxing on the mortar that binds the chimney together. 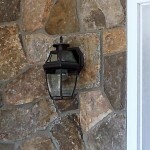 If not monitored small problems can become much larger issues quickly. 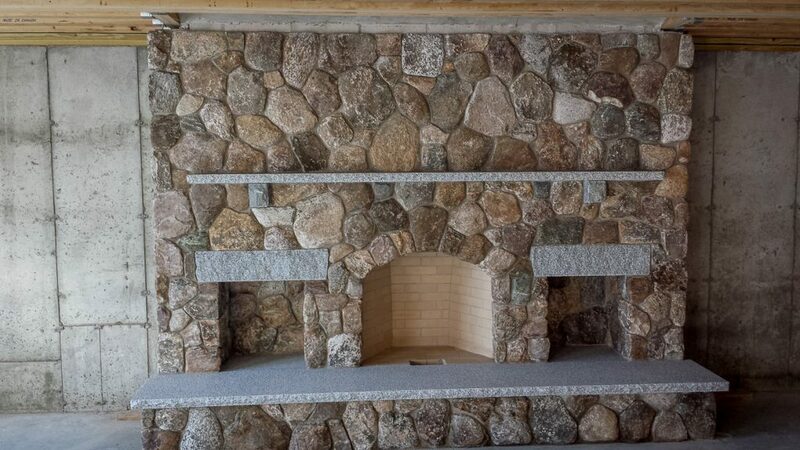 Not all fireplaces and chimneys are constructed equally. The picture above shows how the exterior brick wall of the chimney was used for the construction of the smoke chamber. It should have yet another wall isolating that brickwork, thus preventing cracking on the outside wall. 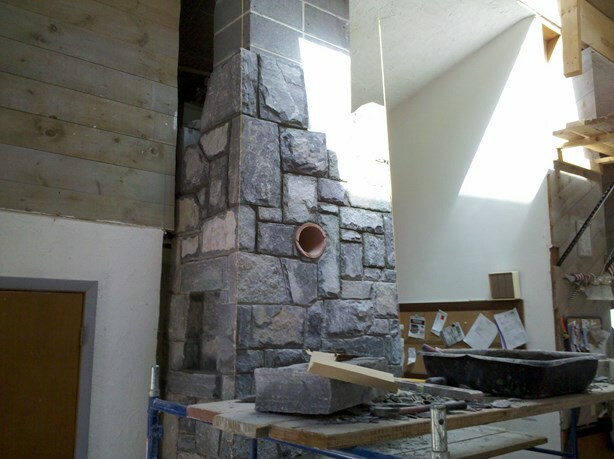 If you have a chimney or multiple chimneys on your home or building that need repairing then JB Mohler Masonry can provide you with a realistic assessment for repair. 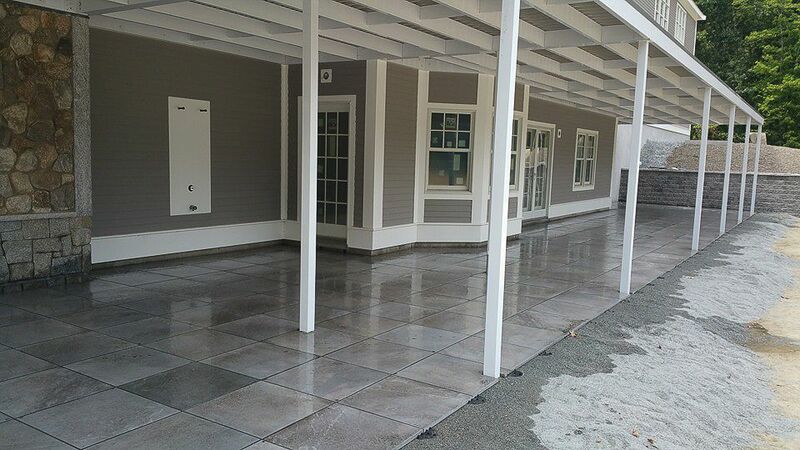 We will provide a solution that is long lasting, safe and as financially minimal as possible. You can have piece of mind knowing that we have over 20 years experience in fireplace and chimney construction to the highest industry standards.